Home Neighborhood Guides What’s In Niquia? Mountain views from Niquia metro station. Hang around Medellin long enough and you might start to wonder what’s in Niquia, the northern terminus of the metro line. A few months ago, I had plans to meet up with a friend on a Friday night. Boarding the metro on a Friday evening, heading for an unknown part of town, was a little unnerving. It seemed so far away from the areas of Medellin I’d become familiar already (Envigado, Poblado, Centro, Estadio, Universidad de Antioquia). Confident there was nothing to fear but fear itself, I motored onward to the north, watching as people exited the metro cars at each stop, leaving them ever emptier. Puerta del Norte shopping mall in Niquia. 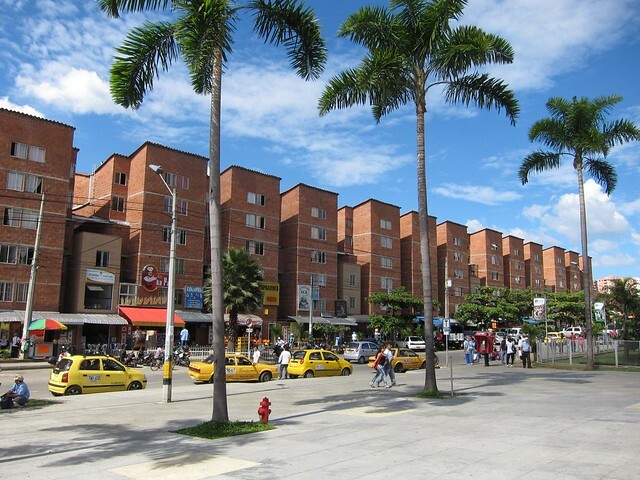 When I got to Niquia’s metro station, the end of the line, I walked across a pedestrian bridge and was immediately in Puerta del Norte, a big mall with movie theaters and a super-sized Exito. It was the furthest thing of scary! 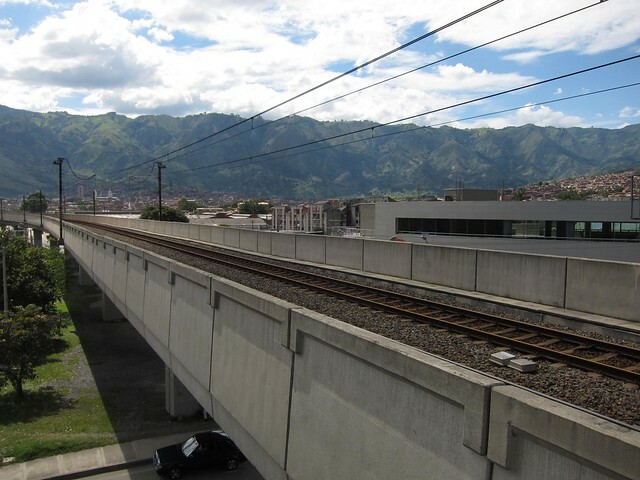 In fact, if there was any danger to be had along the metro line, it was probably left behind long ago when I passed through Centro (downtown Medellin). I met up with my friend, and we walked out the opposite end of the mall, finding a bar up the street to have a beer. Judging from the walk, there wasn’t much of a nightlife scene in Niquia. There were some bars and restaurants, but it’s more like a pueblo than the big city. In fact, Niquia is just a neighborhood that is part of the bigger Bello municipality (Bello is the 2nd to last metro stop from the northern terminus). View south from Niquia toward Medellin. The mountains in the distance are where you can go paragliding. As Niquia didn’t seem too lively, we took a taxi to an area of Bello with some salsa bars and nightclubs. It looked marginally more happening. We eventually ended up dancing the night away in a crossover club that was practically empty. But when you’ve got a good dance partner on your hands, nothing else matters. The clubs in Bello close at 2:30 am, which is the similar to most bars in Medellin and Envigado, but not as late as the discos that go until 4 am, and the after-hour ones that go until sunrise. I have been following you on Twitter and I really like your Blog. I was born in Medellin and live aboard for a long time now, and it’s very cool to hear from your experiences. Have a nice time in Medellín! Next time I’ll go there I’ll write you a note! Hola Olmo, thanks for keeping up with my adventures in Colombia! 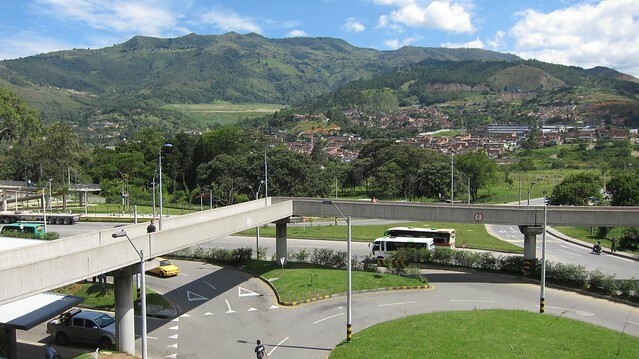 Now in Medellin there are a lot of new places to visit like PUERTA DEL NORTH . 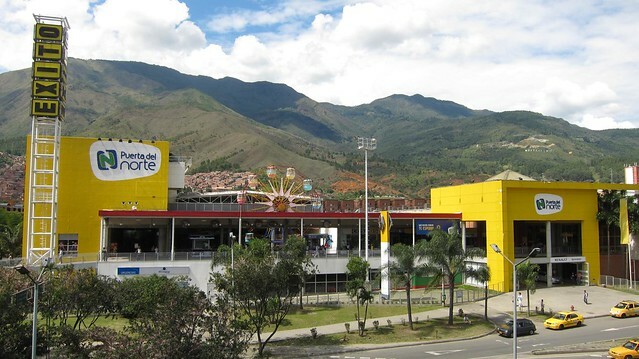 It place looks tesoro or oviedo because they are big malls and they have inside a movie theaters and super – zide exito. it is the furthest thing of scary.in my opinion i think that Medellin need to modernize because is the city with more visiting in Colombia and besides is the second capital of the fashion and the education. Keep up that the great works guys I’ve added you guys to blogroll. I would caution anyone from visiting Bello, Niquia or the surrounding areas at night. I have been mugged in both Niquia and Bello at night (I am Mexican american, so I blend in, and it didn’t help). Yes, they look safe and nice during the day, but there appears to be gangs targeting foreigners in the South. Sorry to hear that Bill. I think you mean North.